The Digestive Health Solution offers effective and natural solutions for optimal digestive health. If you suffer with Irritable Bowel Syndrome (IBS), this book looks at mind-body connection, intolerances to foods, sensitivity to gluten, dietary changes and practical ways that may help alleviate pain and transform the health of your digestive system. The symptoms of IBS (stomach cramping, bloating, gas, constipation and/or diarrhoea) affect 1 in 4 people and can also lead to muscular pain, fatigue and lethargy, depression, and anxiety. 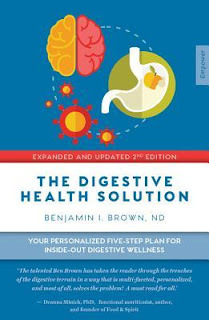 With his background in naturopathy, Benjamin I Brown has come up with an easy to follow five-step plan to help improve and even eliminate symptoms of Irritable Bowel Syndrome. The book is written in a clear and simple format and offers a lot of information and advice regarding to IBS. It is an essential guide for anyone wanting to improve the health of their digestive system. I'm sure that you all know at least one person, be it a friend or family member, that has been diagnosed with Type 2 Diabetes. I personally know of a few myself. 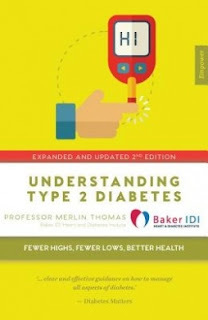 Understanding Type 2 Diabetes is an invaluable resource as it offers the latest advice in a clear, easy-to-follow format. The book explores a range of topics including what diabetes is, how it is diagnosed, and how to make necessary changes to relieve symptoms including dietary changes and exercise. It also looks at how diabetes effects different parts of the body including the heart, mind, kidneys, bladder and feet, and ways to prevent and treat these problems. It explains terms like hypo, blood glucose, insulin and blood pressure in a clear and detailed manner. This book is great for carers, health professionals, and diabetics, whether long-term or recently diagnosed. This would be good for my Dad. He was diagnosed with Type 2 a few years ago, but really is the worst diabetic. Eats a pack of biscuits and then wonders what went wrong with his sugar lol. These books would be good to add to the health resource library in our workplace. So good to know that books like this exist. I think it would be fascinating reading about these conditions. Always better to be informed than not!